Tendons are strong connective tissue structures that connect muscle to bone. 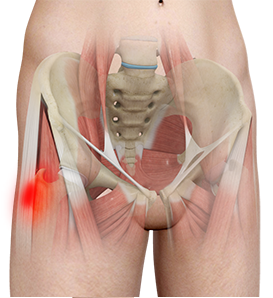 Hip tendonitis is a condition associated with degeneration of the hip tendons. This condition is mainly caused due to strain on the tendons which may be due to overuse or biomechanical problems. Hip tendonitis can be treated with RICE protocol: rest, ice, compression and elevation. You may also be referred to a physical therapist who will instruct you on stretching exercises to regain motility. Massage and ultrasound therapy may also be recommended to enhance recovery.